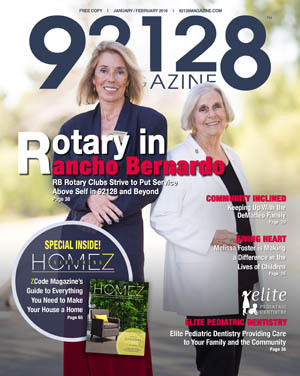 Can you tell us about the history behind the Rotary Club of RB? Our club was established in 1964. There were 27 members lead by President John Gray. How did you personally become involved with Rotary Club of RB? A friend, Mike Stelman, who was President of the RB Rotary Club invited me to a meeting. What is your role within the club? I’m currently president of the club. My duties include leading weekly meetings and keeping the club involved with community needs. No project is too large or too small to be considered. Can you elaborate on some of the projects you have worked on in the past? Through our Dictionary/Thesaurus Project, we give dictionaries to local third graders and thesauruses to local fourth graders. We’ve given $25,000 to the RB Public Library and $25,000 to the remodel of Fire Station 33, plus the station’s state-of-the-art early warning system. In 1993 we purchased the first car for the Reserve Senior Volunteer Patrol (RSVP). With that first purchase began the RSVP Program that has now gone nationwide. In 1979 we purchased a van for the American Red Cross. We’ve made contributions to the police storefront, the Interfaith Council, the Spirit of the Fourth Parade, and Clean Foundation, Inc., which was started by Frank Goldsmith, DVM. In 1994 he was named a National Leadership Fellow. We have supported many of the Senior Service Programs, including the Flu Shot Program, which we started in 1989 and is now funded by Medicare. We offer many Rotary Youth programs, including scholarships for high school seniors in the Music Camp International Program, the Rotary Youth Leadership Award (RYLA), the 4-Way Test Speech Contest, and several more. We support many youth organizations from Boy Scouts to Girl Scouts to Boys & Girls Clubs and more. The RB Rotary Club founded five additional Rotary Clubs, including RB Sunrise, San Diego North, and three clubs on our military bases. These are the only Rotary Clubs located on any military bases throughout the world. Global projects include a clean water project in Ecuador, Polio Plus – the project to eliminate Polio in the world started in 1985 and we now have only two countries reporting new cases of polio – Youth Exchange, Micro-Credits, and many more. Which communities do you work with? We work in Rancho Bernardo, 4S Ranch, Poway, and Escondido. Do you have any fundraisers you would like our readers to be aware of? Stay tuned on our website for information about our annual golf tournament, held every spring. How many members does your current club have? Please tell us about how someone can go about becoming a club member. You must attend at least three meetings before submitting an application. Are there certain requirements a person has to meet? People interested in membership should demonstrate business and professional leadership in the community. 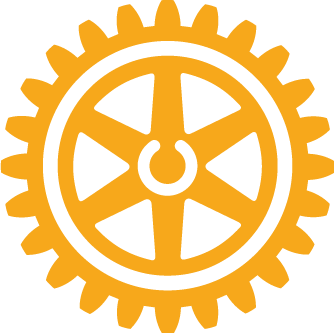 What sets the Rotary Club of RB apart from other Rotary Clubs worldwide? There are 34,000 clubs worldwide with 1,200,000 members and our club is in the top 10 clubs in the world. For the year 2014-15 our club ranked third in giving out of 63 clubs in our district. Two District Governors have been chosen from our club – Jack Mayo and Mike Stelman. Are there any exciting new projects, developments, or programs coming to the club? Every year we look at the needs of our community and try to participate to the best of our abilities. We are looking to create a new fundraiser that will enable us to further assist our local needs. To continue to support our community in all areas of need. What can club members expect when joining the club? Friendship, fellowship, and information from our weekly speakers on current issues. What’s the most exciting or rewarding aspect of being a Rotarian? Knowing you are part of a worldwide organization devoted to helping those in need. Can you tell us where and when your meetings are held? Every Thursday at 12 p.m. except the second Thursday of the month, when we meet at 5:30 p.m. All meetings are at the Bernardo Heights Country Club unless a change has to be made. Where should people go if they are interested in additional information? Please come to a meeting or call me at 858-485-9041. Is there anything else you would like to add about Rotary Club of Rancho Bernardo? We love all peoples of the world. Most Memorable Rotary Moment: The day I listened to a guest speaker and learned of the project to deliver a dictionary to every child in the third grade in Southern California. I and a fellow Rotarian (who has moved) started the project for RB Rotary.